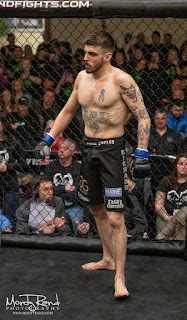 Portland, Maine (February 8, 2019) - New England Fights (NEF) will present its next mixed-martial-arts (MMA) event, "NEF 38: STORMBORN," on April 27, 2019 at Aura in Portland. Earlier today, the fight promotion announced the second amateur title fight confirmed for the event. Zac "Rocky" Richard (3-0-1) will take on Tom "The Phenom" Pagliarulo (2-1) for the vacant NEF Amateur Featherweight Championship. It will be Richard's second attempt at capturing the title. Earlier this month, Richard fought Fred Lear (6-2-1) to a thrilling five-round draw for the strap in Bangor, Maine. The bout is considered by many to be a very early contender for "Fight of the Year" in New England thus far. 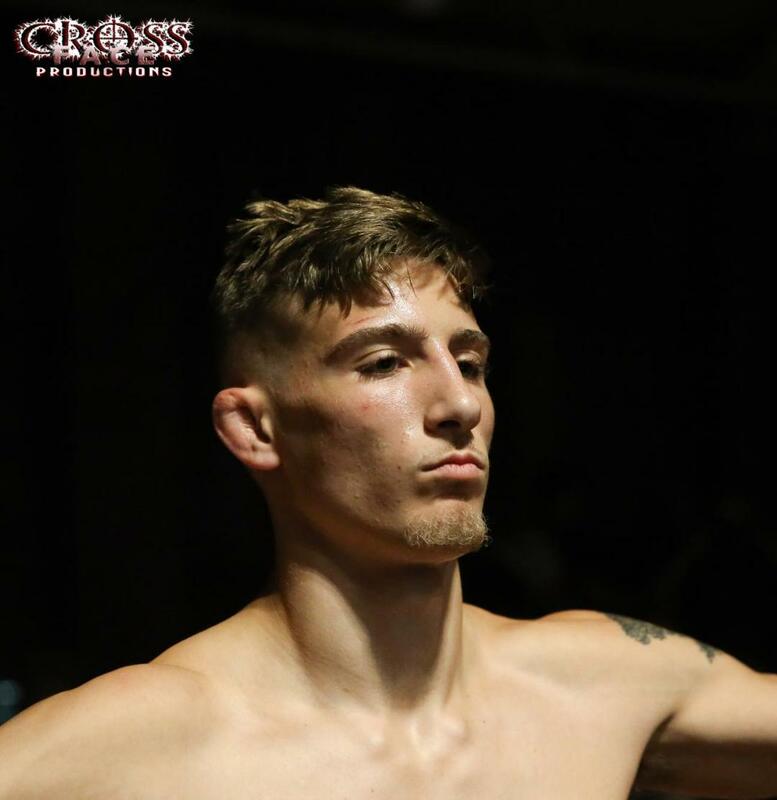 Lear's decision to turn professional after that fight nixed any hope for an immediate rematch. Richard, the 2018 "NEF Rookie of the Year" as voted by the promotion's fans, went on a tear last year with three first-round finishes. He has never been a stranger to the winner's circle, having won a Maine state championship in wrestling for Massabesic High School in 2015. Richard hopes to replicate that success on April 27 and take the featherweight strap home in his second attempt. "Now that I’ve been in a war, I know what I need to work on," said Richard. "I’ve came so far in just one year. I’m going to blow the roof off of AURA. No way around it, I want that title. I’m going to come back faster, stronger and smarter. Tom is a great fighter and I know this fight will bring out the best in me." Tom Pagliarulo will be making his NEF debut on April 27. He has two finishes to his credit on MMA events in New Hampshire, including a first-round technical knockout last fall. Like Richard, Pagliarulo cut his teeth on the wrestling mats. He is a lifelong wrestler. He competed for Central Catholic High School in Lawrence, Massachusetts and later for Plymouth State University in Plymouth, New Hampshire. Pagliarulo currently holds a blue belt in Brazilian Jiu-Jitsu and trains at both Burgess MMA in Manchester, New Hampshire and Spero's Martial Arts Academy in Plaistow, New Hampshire. "What better way to make my NEF debut than a title fight against a tough competitor," exclaimed Pagliarulo when reached for comment. "Zac and myself are both elite wrestlers which should make for an exciting fight. The opportunity was presented to me, and I know it is a fight that will make us both better, so I jumped all over it. As far as the title goes, this is just another fight for me. I'm going to go in there and do what I love to do, fight."